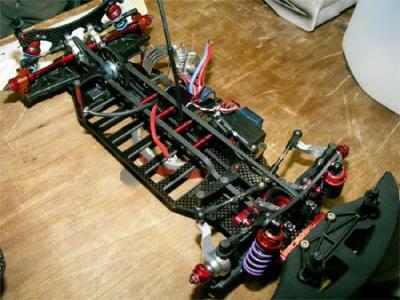 Red RC - RC Car News - Page 4165 of 4240 - Red RC - RC Car product news, views and race results. 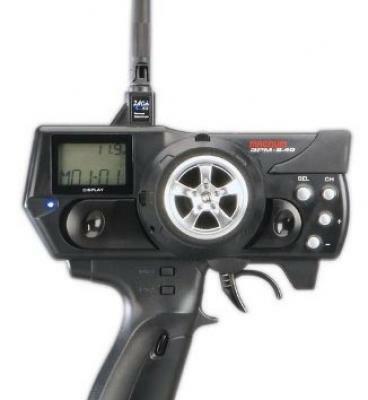 This miniature electronic gadget you see above, on its own and mounted to the top of a receiver in a 1/12th scale car, is a Back Torque Limiter. Made by Straight Ltd in Japan this rather smart piece of wizadry is essentially an adjustable braking device which not only helps your car brake smoother but also reduces damage to the motor as well. I dont know how it does all this and even if the site wasnt only in Japanese i probably wouldnt be able to figure it out anyway. 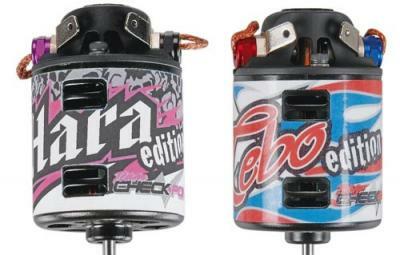 O’Donnell racing have released these 2 new special Atsushi Hara and Jared Tebo edition Team Checkpoint modified motors. Available in a variety of different winds and configurations, these motors are ROAR approved and claim to be the same specifications as used by their champions drivers. More economical than brushless while still designed to go more races between rebuilds and without sacrificing the performance drivers demand, the Checkpoint motor components are precision engineered using state-of-the-art materials. Also available are several new armature winds, â€œhardâ€ motor springs and our newest modified motors designed especially for 4-cell racing. Following on the back of the release of the Airtronics mid level 2.4GHz radio, comes Futabas mid level 2.4GHz radio, the 3PM. Expected to be released in mid March, this new radio uses the companies FASST (Futaba Advanced Spread Spectrum Technology) technology, and this has been built into the transmitter, doing away with the need for a separate module. – Constant shifting within frequencies â€“ no more signal conflicts or waiting for a frequency to open up. – â€œAuto-Detectâ€ instantly determines whether HRS or PPM mode is active in the transmitter. 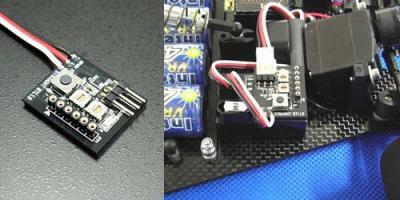 – Fail Safe for both the transmitter (in case of interference) and the receiver (in the event of low voltage). 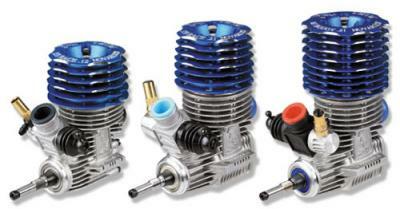 Novarossi World have introduced these 3 new high end competition motors, suitable for use in multiple disciplines. First off is the Plus 353 Race, a new .12 engine for the 200mm touring car class, that boasts an impressive 1.68 hp with maximum revs of 42,000rpm, this EFRA legal 3 port engine features ceramic bearings and has an 11.90mm crankshaft. The next engine up is the Plus 359 Race, a 3.5cc .21 engine for circuit racing that features an incredible 9 ports, ceramic bearings throughout, and boasts 2.90 hp and a maximum rpm of 38,700. The final new motor is another 3.5cc beast, the Plus 367 Buggy, for off road use that has the most horse power of all the 3 engines, with Novarossi claiming that this 7 port engine can get 2.97 hp and can punch out 35,000rpm. Both the .21 engines feature 14.5mm crankshafts. More car sightings from the Snowbirds, this time we get to see Josh Cyruls self modified electric touring car, which looks based on a Kyosho Stallion TF-5. I don’t know if this car has been seen before, but what is very interesting (click image to make larger) is the one piece carbon fiber bulkhead and chassis stiffener. 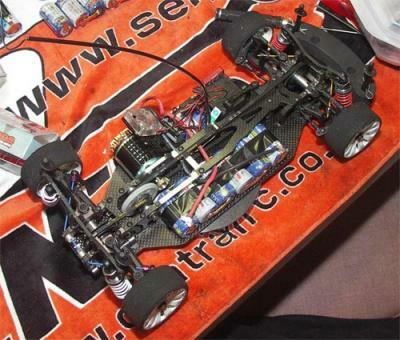 This layout allows you to run without a high C of G top deck, yet still benefit from a stiff chassis, and I’m pretty sure its a lighter system than the conventional approach taken by other manufacturers. The car also features other self made parts including the chassis, steering blocks as well as the entire, centrally mounted, steering system. The producer of RC Racing was in contact to inform us that the 2006 Neo-Invitational will be covered in the March episode of their show that goes out on Motors TV. We’ve covered the other episodes of this program before and it really is a good show so make sure you catch it. I wasn’t able to embed the promo video from Veoh, so to view it you need to go here. This weeks Snowbirds sees the first major race outing for the new, and as yet unnamed, Serpent electric touring car prototype. Driven in foam class at the event by Serpent designer Rene Cornella and in the rubber class by US racer Rafael Angula the event is seen as a large scale test session for the new car. The car as you can see from the pictures (click images to view larger photo) is a traditional belt configuration and conforms to the current electric touring car look. According to talk at the event, Serpent are looking to sign some big name racers to their team to develop the car further in time for its summer launch. We’ve been covering the Carpet Wars through the reports posted on the sites of Helger Racing and CML distribution and it looks like a great, and very popular, indoor Winter Series. Well now thanks to RC Tech member Skiddins, who was at the event with his video camera, we can now watch some of the action from the 4th round of the Championship. 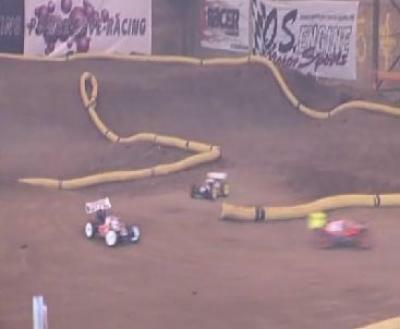 The video above is off the first final in the modified class and features World Champion Andy Moore. You can view all the videos on YouTube here.